This year the 2017 ARVC Outdoor Hospitality Conference and Expo, the RV Park and Campground industries premier show, will be held on Tuesday November 7th through Friday November 10th in beautiful Raleigh, North Carolina at the world-class Raleigh Convention Center. 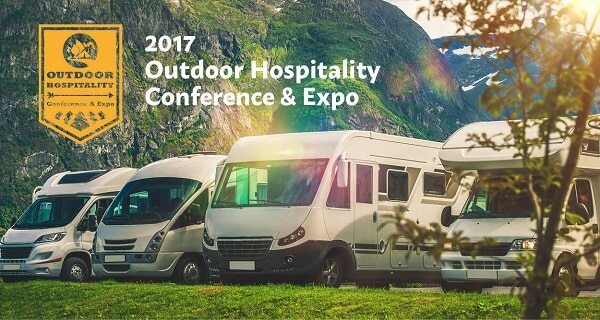 campground industry featuring more than 100 exhibitors! owners and operators from across the country. 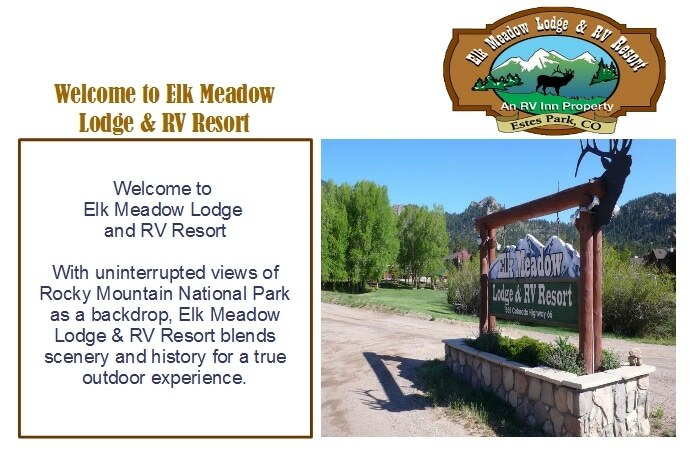 about the best practices and top products and services the RV Park and Campground industry has to offer. Make sure to find Barry at the show and ask him all the questions you have about your TV system. Who owns your cable infrastructure? Why is the cable company saying you have to have converter boxes? If you install a new TV for RV Parks system or renew your agreement with DIRECTV prior to 12/31/17, you may be eligible to receive 48 channel COM2000 equipment at NO EXTRA COST* when you sign up for a 5 year agreement! That is up to an $11,000 value! For more than 48 channels there are additional fees. Does not include more than 1 TV per room. *This offer includes only equipment, not the installation, programming or freight costs. *The full details of the offer are at the bottom of the page. Learn about advances in TV System and Digital Signage technology from DIRECTV including the New Welcome Screen Pro for the DIRECTV Residential Experience and the Welcome Screen for the COM2000 Pro:Idiom Headend system. 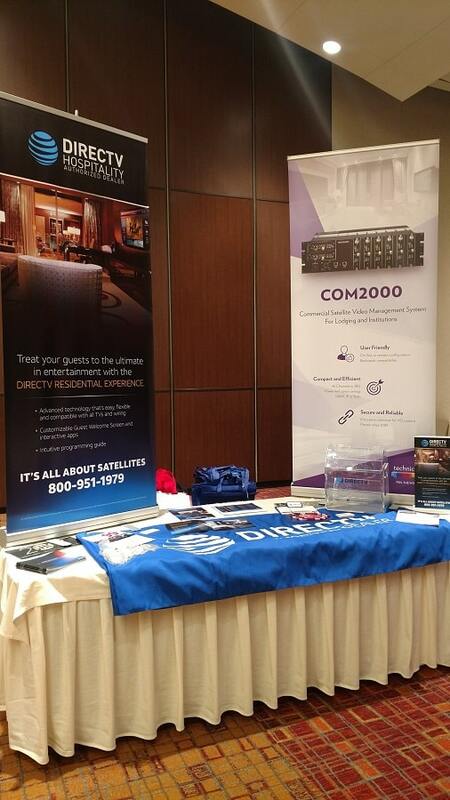 Learn about advances in TV System and Digital Signage technology from DIRECTV including the Welcome Screen for the COM2000 Pro:Idiom Headend system. Learn how this technology can help you save money, promote your properties amenities and events, make your staff’s jobs easier, and provide a more entertaining TV experience for your campers. *COM2000 EQUIPMENT OFFER: Offer is available to new or renewing Hospitality and Institutions customers who activate within eligible dates (8/1/17 to 3/31/18). 5-year programming agreement required. Properties must subscribe to SELECT Package ($5.50/room/mo) or above, with local channels ($0.50/room/mo. ), if available in your market, HD Access ($0.75)/room/mo.) (requires HD in all units), qualifying premium channel service; requires 75-room minimum for COM2000 equipment; 50-room minimum for DRE equipment. A (DRE) System software receiver fee ($0.40/room/mo.) applies for DRE equipment. Add’l equipment and fees apply for upgrades. Installation charges apply, installation fee is based on hotel size. Applicable use tax adjustment may apply on retail value of installation. FOR ALL HD OFFERS, IN THE EVENT YOU FAIL TO MAINTAIN YOUR PROGRAMMING AGREEMENT, YOU AGREE TO PAY AN EARLY CANCELLATION FEE EQUAL TO THE FULL SUBSIDY AMOUNT PROVIDED TO YOU ON A PRO-RATA BASIS, REDUCED BY THE NUMBER OF MONTHS PAID DURING THE COMMITMENT PERIOD. Payment is due within thirty (30) days of receipt of a notice of failure to complete the commitment period. ©2018 AT&T Intellectual Property. All Rights Reserved. AT&T, Globe logo, DIRECTV, and all other DIRECTV marks included herein are trademarks of AT&T Intellectual Property and/or AT&T affiliated companies. All other marks are the property of their respective owners.